Please help us get our grassroots multiracial delegation of women and men from across the country to this critical gathering. Meeting to share strategies and experiences with other grassroots organizers will strengthen us all in demanding that society prioritize the care of people and the planet, and end poverty and war. Tear Down the Walls – the largest gathering in 2013 – is “bringing multiple movements to strategize and network together on how to build a more unified, powerful movement for transformational change in the US.” It is critical that the voices of women and others most impacted by unjust social and economic policies be heard. A multi-racial group of about 60 people gathered at the Germantown Friends School for a forum on solitary confinement on September 21. The crowd included Formerly Incarcerated Persons (FIPs), family members with loved ones inside, the religious community, students, and women’s, prisoner rights, civil rights, disability rights, peace and justice groups (see list of groups represented at the end). The speakers were excellent and much of the audience participated in the lively discussion. All agreed that this was a beginning, not the end, and have vowed to continue to work together and take collective action (see list of suggested actions below). 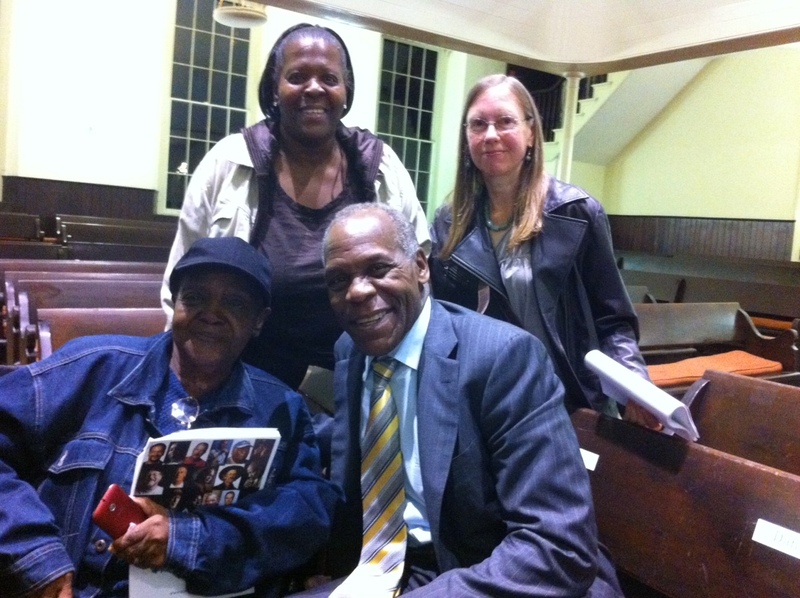 Actor/Activist Danny Glover with Nancy Carroll, Carolyn Hill and Pat Albright representing Global Women’s Strike and Every Mother is a Working Mother Network at the 10th Anniversary of Witness to Innocence Project in Philadelphia on Oct 9. Mr Glover signed Carolyn Hill’s petition to the Dept of Human Services to have her nieces returned to her care.